The Joker lives again in this Batman action game. 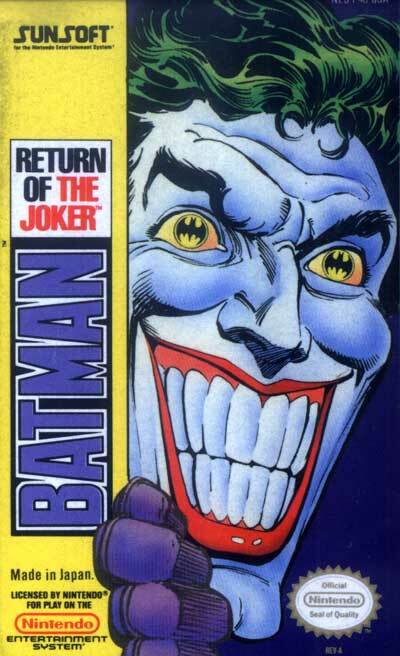 The Joker has somehow managed to escape from the asylum once again, and Batman must defeat him to restore peace to Gotham City. Batman's weapons include bat-a-rangs and explosive punching power. There are 4 stages that take place in the sewer, a machine shop, on a train, and in a cave. This game is one of the few Batman games that was not based directly on a movie or television series.